All-around versatility characterizes the Dumore Series 44 tool post grinders, designed for both internal and external grinding on lathes with 8" to 14" swing. 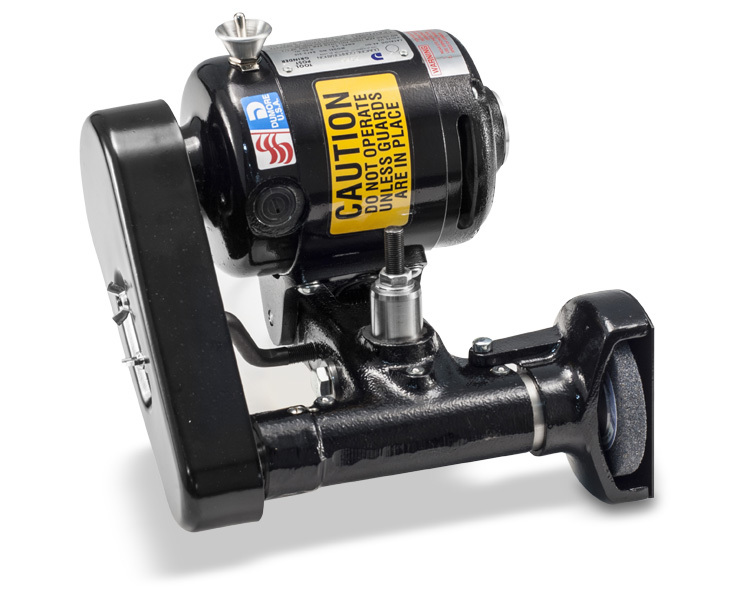 These tool post grinders, powered by a Dumore 1/4 HP motor with long life pre-lubricated bearings, handle external grinding, with grinding wheels up to 3" diameter, at six speeds, variable by pulley changes, and include an automatic spring tension belt adjustment for easy alignment. The built-in spindle handles internal grinding down to 1/8" diameter with collet and mounted points. A 2" adaptor wheel arbor is also included for deeper internal grinding with 1/4" bore grinding wheels.